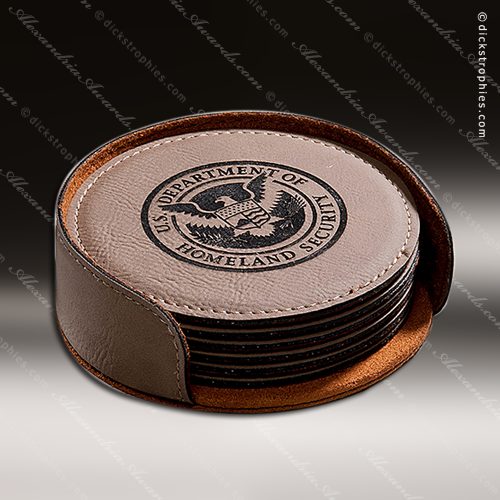 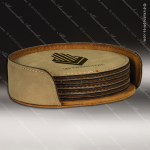 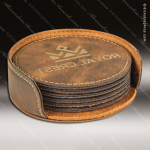 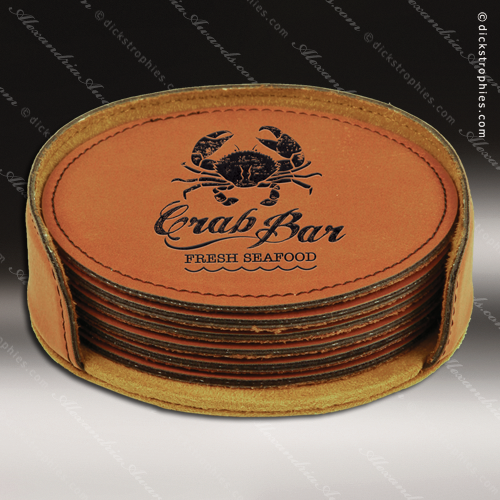 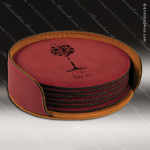 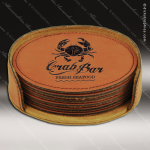 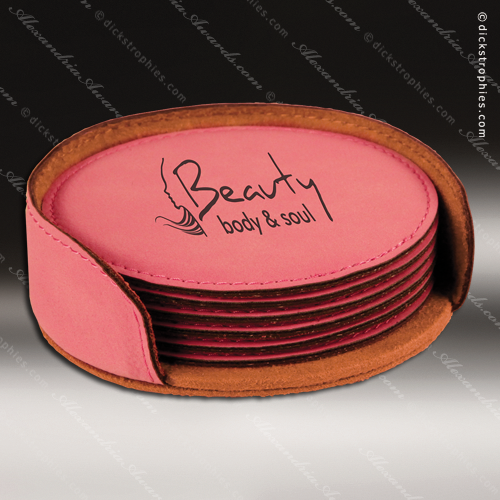 Given as a promotional item, gift or incentive award, this beautiful leatherette round coaster set is sure to be appreciated. Leatherette has the look and feel of leather at a much lower cost, and the durability can’t be beat. Just 1/8” thick, the inner foam absorbs moisture, allowing the surface to retain its original beauty. 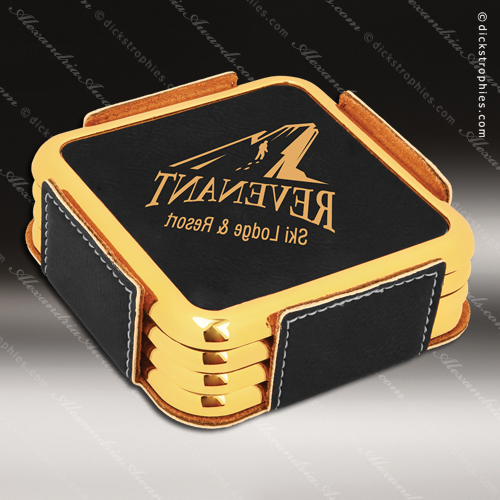 Personalize them with your company logo, a monogram or other graphics in silver to commemorate a special event. 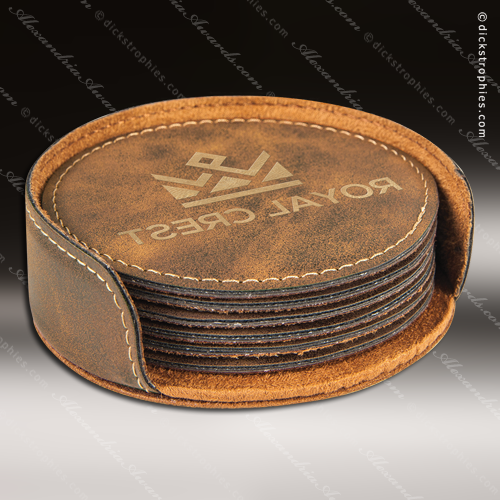 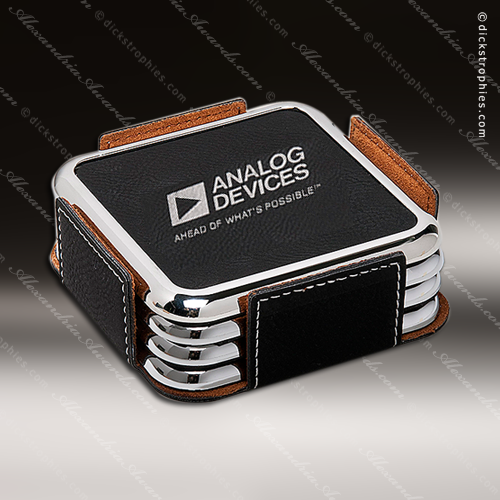 The set includes 6 square coasters in a matching leatherette holder. 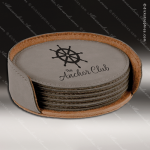 Laser Leather square coaster set (four) with bright silver frame. Individually boxed. 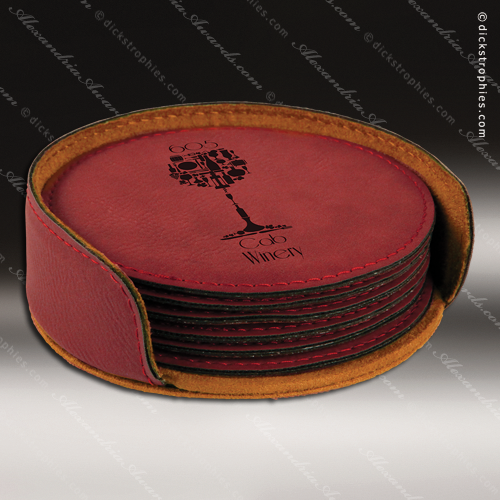 For single square coaster see items: DTTPL2550, DTTPL2551 and DTTPL2552.